This is one of the better ‘bonus point’ offers that I have seen in recent weeks – one where the points represent a good return on the money you are spending. Over at Tesco Direct, you can receive 1,000 Clubcard points when you spend £40 on a range of fitness or hi-fi products. 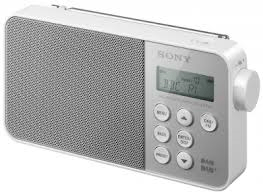 The radio above, from Sony, is one of the better options. It is already reduced by £20 to £40 and so is especially good value when you add in the points. It may even be a good candidate for selling on eBay. You have until 22nd January to order.